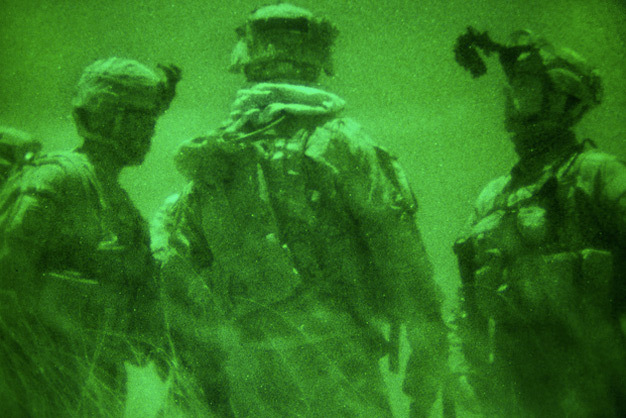 Soldiers from Charlie Troop, 2nd Squadron, 38th Cavalry (2-38th), patrol an area of the Shorbak Desert, Kandahar province, Afghanistan, December 11, 2011. Photo by Spc. Phil Kernisan.